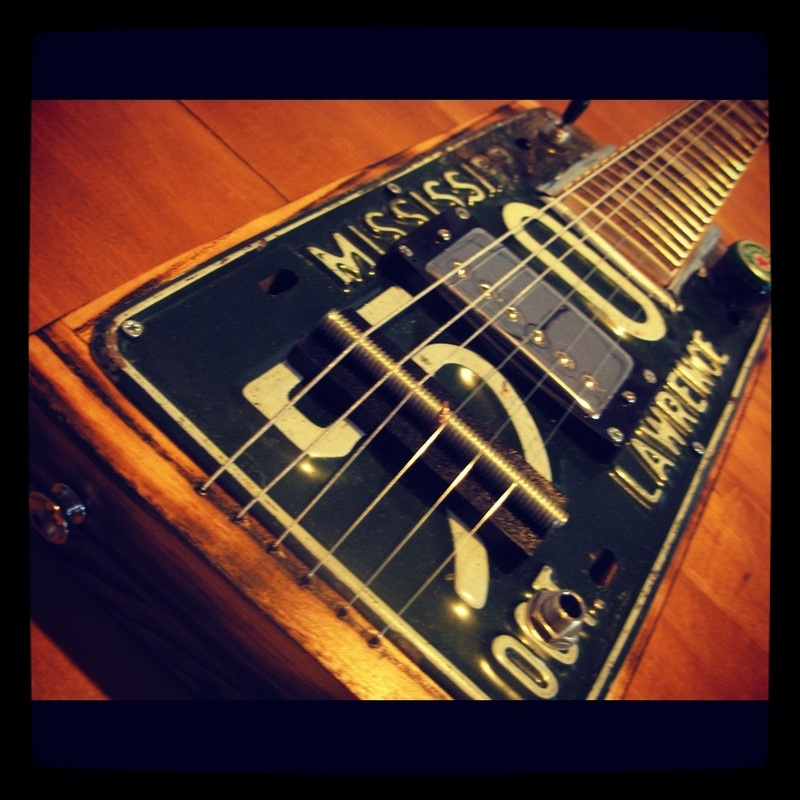 Want to upgrade your cigar box guitar project? 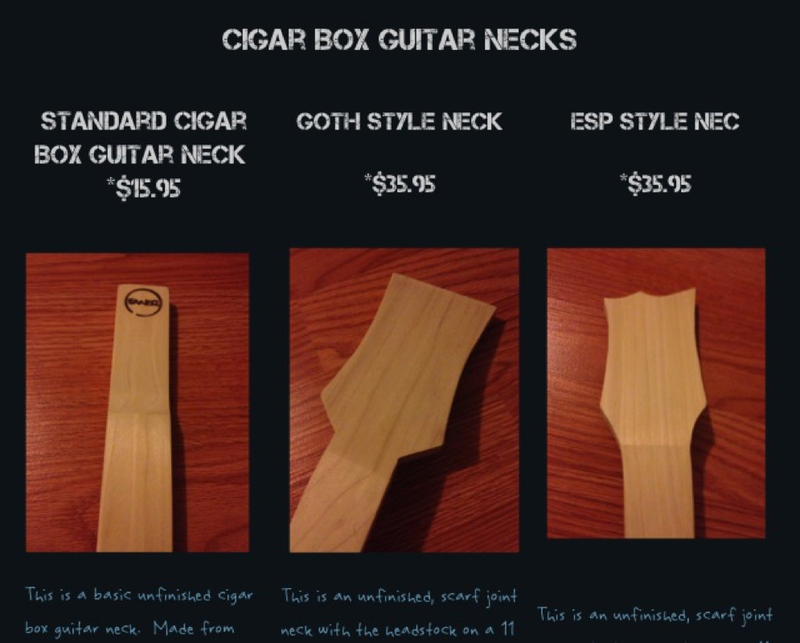 Have a look at our CBG Necks and Fretboards. 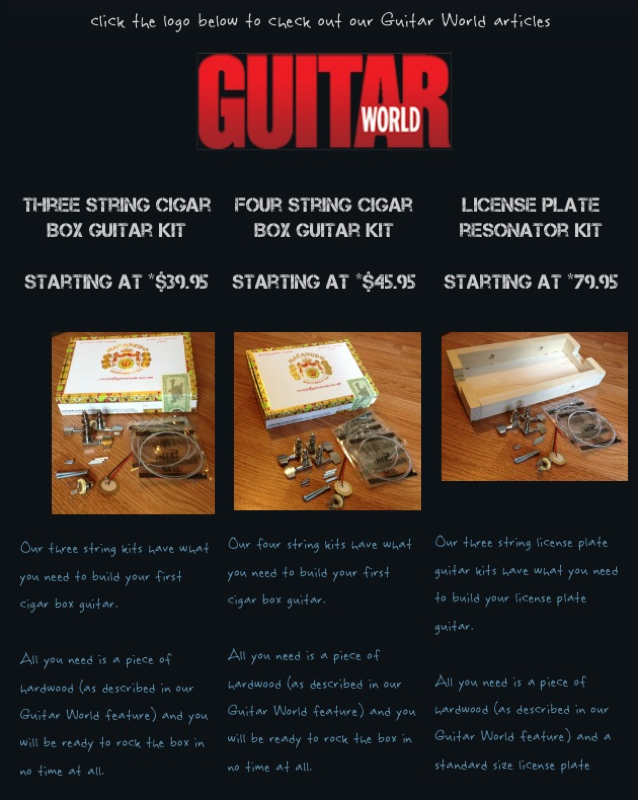 Then check out our Cigar Box Guitar Kits... The perfect companion to our Guitat World Articles. 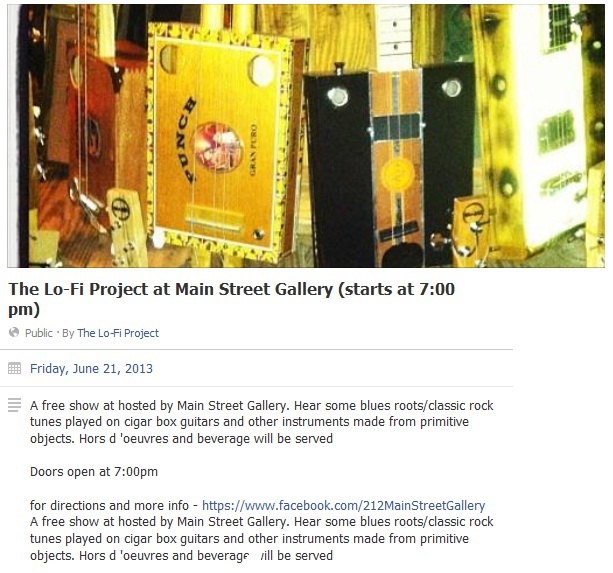 A free show at hosted by Main Street Gallery. 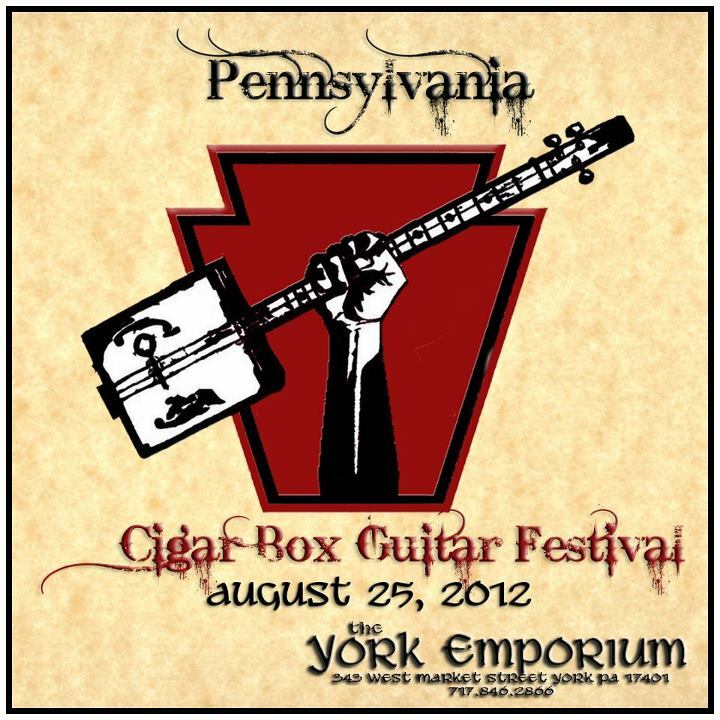 Hear some blues roots/classic rock tunes played on cigar box guitars and other instruments made from primitive objects. 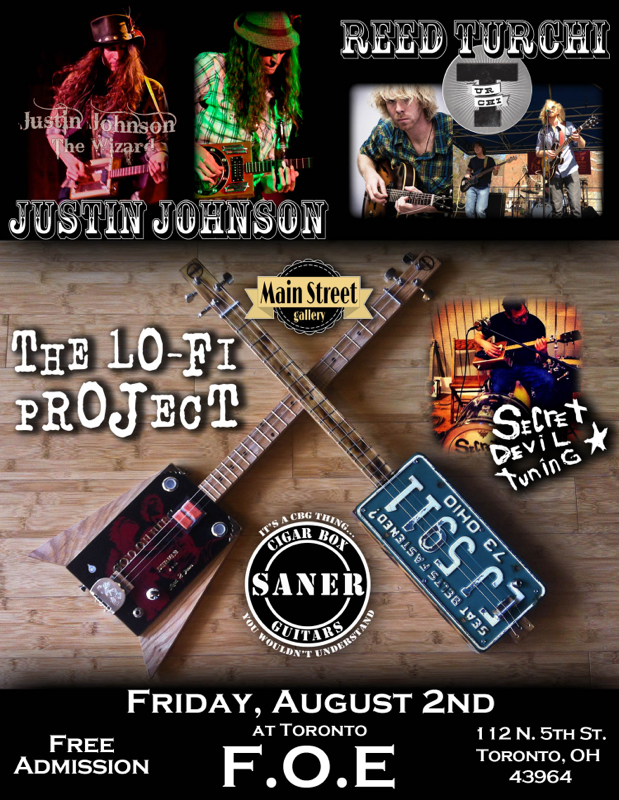 Mark your calendars for August 2nd. 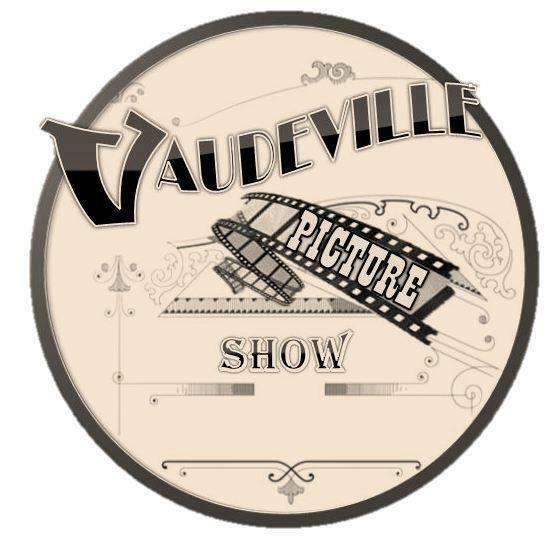 Vaudeville Picture Show will be using one of our guitars and amps in their upcoming film "Across The Tracks" and at the end of filming they will be giving them away. Check out http://vaudevillepictureshow.com/ on how to enter. A Changing Time - 12.12.12 concert with Paul McCartney Playing a resonator Cigar Box Guitar. Yep, that is Sir Paul McCartney playing a cigar box guitar. I'm told by the builder that it was given to him by Johny Dep who is also a Cigar Box Guitar Player him self. It seems that it the guitar part of Sir Paul's regular instruments since he used the same guitar later in the week while preforming on Saturday Night Live. When we saw this clip..... "Holly Sh#@ a F@#%ing Beatle is playing a Cigar Box Guitar" and we couldn't be happier, for the builder and for shedding some light on to our cigar box guitar movement. Check out the demos below provide by Reed Turchi of the band TURCHI and Devil Down Records. 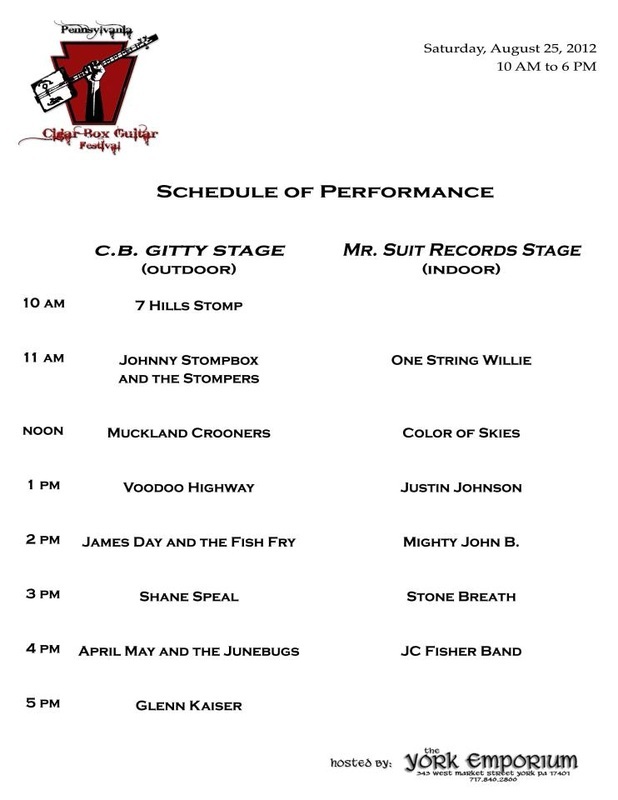 We will be there on August 25th with some guitars and gear. Stop by our booth and check one out for your self. 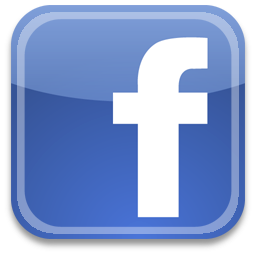 For more info on the festival, click on the photo to take you to their Facebook page. Oh yeah did we happen to mention it is FREE!!! Click on the Icon to take see our articles on Guitar World. I always measure from the nut to each fret. Not fret to fret because if one is off then all of the ones after it will be too. To convert these to fractions use a decimal to inch converter that can be found on the web they all work about the same. 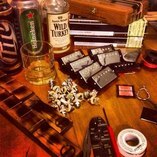 CBG Kits, Necks, Pre-wired Pickups, get one and call it your own. 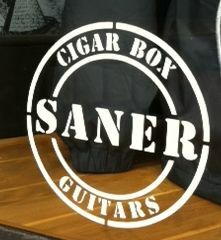 We have guitars and some cool gear.